I've never really been a Burton kinda guy. Truth be told, I've never really seen the hype around the director. This may be due to the fact I've yet to see his most acclaimed films (The Nightmare before Christmas and Sweeney Todd), but besides Beetlejuice and Batman there really hasn't been a project of his I've really enjoyed. Most Batman fans today right-off the Burton and Schumacher films as being overly stylised, ridiculously campy, and far too different to the Batman that graced the pages of Detective Comics. While there are certainly some glaring errors with these films (Batman's capacity for killing being one of them), I feel as though they're attacked unfairly, especially 89'. You don't have to look far to see great things with this film; Elfman's score, the beautifully stylised Gotham City, and the performances of Michael Keaton and Jack Nicholson to name but a few. 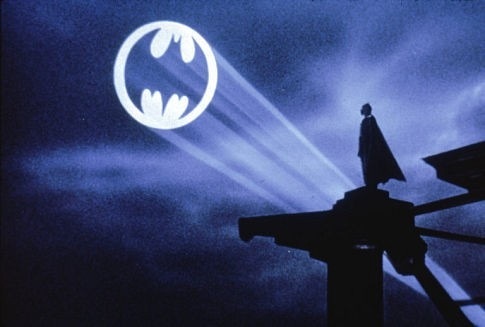 Tim Burton's Batman is one of those films I can't help but adore. Despite its flaws of adapting some of the source material to screen, Burton's vision along with Elfman's iconic score gave us a truly memorable comic book movie. Keaton (who is to this day my favourite live-action Batman), portrayed The Caped Crusader in a fantastic way, combining a sense of anger with the calm and calculating nature we know Batman to be from the comic books. While Keaton's casting as the titular character was at the time controversial, his portrayal was easily a highlight for many in the audience. His entrance as Batman was both intimidating and fearsome, adapting the Batman from the comics that many audiences were yet to be exposed to at the time; a Batman who was dark, brooding, and relied on fear to strike terror into the hearts of criminals. Not only was his Batman dark and fearsome, his Bruce Wayne was charming and very likeable, and this couldn't be any more apparent when Vicki Vale and the billionaire meet for the first time in the Wayne Manor armoury. The supporting cast all do fantastically in their respective roles. Kim Bassinger makes for a fantastic Viki Vale, while Michael Gough puts in a splendid performance as Bruce's loyal butler Alfred. It's a shame then that with these two key supporting cast members so key to the Batman mythos are given the respect they deserve, but Commissioner Gordon is reduced to a clueless officer that appears to have little to non of the qualities that the Gordon from the comic books had. 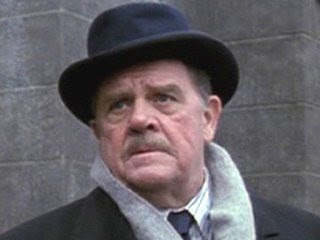 Pat Hingle is a more than capable actor, but here I feel he was definitely miss-cast. I mean what happened Gordon? All those years of Green Beret training waste away on a twinky addiction? Besides that one hiccup casting wise and writing wise, most of the characters are recreated faithfully, one of them being non-other than the iconic Batman villain: The Joker. 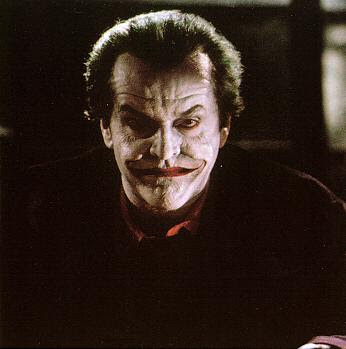 Perhaps the highlight of this film to many who saw 89', Jack Nicholson was cast as the clown prince of crime and he puts in a great performance. He possesses most of Joker's notable traits, being able to kill without remorse while being able to crack a joke or pun, and admittedly I found myself laughing at many of his lines (I'll embed a video of one scene in particular). He combines sinister with humour very well, and I enjoy every moment he's on screen. In particular the scene where Napier awakes as the Joker is one of the most sinister and brilliant moments of all the Batman mythos, the cackling laughter of the man once known as Jack Napier echoing through the grungy backdrop of the surgeon's work station. Truly terrifying. It seems that my only problems with this film arise from the changes made to certain aspects of the Bat-mythos, but they only dampen my enjoyment of the film slightly. The first decision in terms of writing that I really don't understand was the decision to make Jack Napier (The Joker), the murderer of Bruce's parents. It just feels slightly contrived and convoluted, and quite honestly shouldn't have been added to the story. Joe Chill is the murderer of Bruce's parents; THAT'S how it always should be. I digress though, because the terrific performances of Keaton and Nicholson manages to make me overlook this glaring error, but there is one more thing that aggravates me here, and that is the fact that Batman kills in this film. Nothing more prominent in Batman's war on crime is his no killing rule, the rule that he is determined to never break and will always strive to never cross that line. However, there are multiple occasions where Batman kills in this films sadly, (although in one of the instances it has been argued that the thugs managed to survive) and I find that hard to overlook. 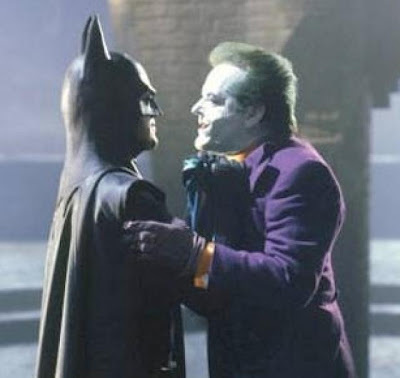 Despite these two flaws that Bat-fans pick up on the most, there is so much to love about this film, from Keaton's performance to Elfman's iconic score, it all meshes perfectly to give us a fantastic film that Batman fans of most ages should be able to enjoy and appreciate, no matter their opinions on Burton or the liberties it takes with adapting the Bat-mythos to screen. While this may not be my favourite Batman film, many of the elements in it bring it close to being so, and I'd highly recommend for any fan reading this to give it another chance. Put Nolan's interpretation at the back of your mind, and watch the film that defined Batman for a generation. Great review Ewan! Your feelings on the film are very close to my own. It does have a few problems but I definitely have no trouble looking straight past 'em, although i'm sure nostalgia probably clouds my judgement somewhat. 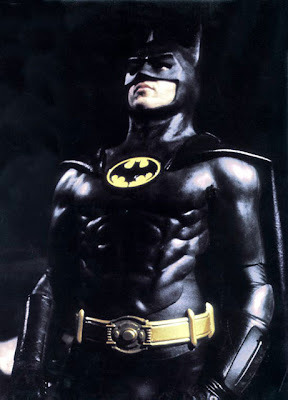 This movie actually started my love of Batman, around '91 i'd say, so it'll always be a personal favourite of mine. Kudos mate. The films style is pretty awesome but the story IMO is really weak. Great review Ewan, makes me want to watch it again. Thanks guys. I had fun writing it. @KAC I'm curious; why do you think the story is weak? I want to hear as many views as possible. Fantastically written review though I don't feel the same way. 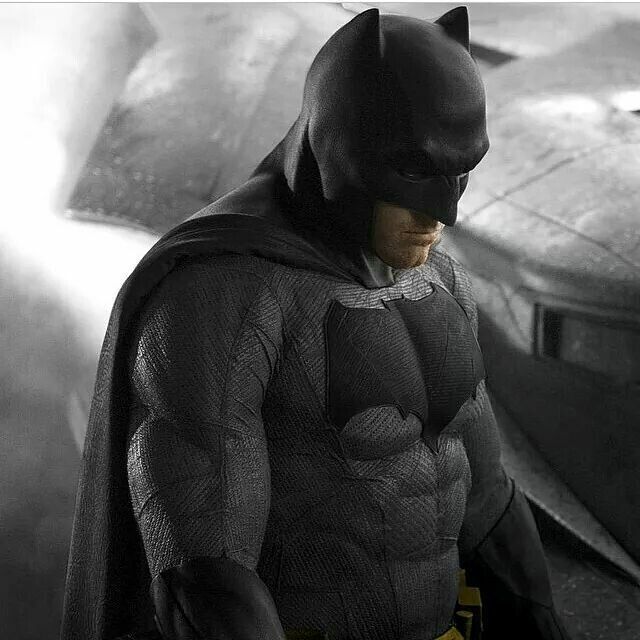 Personally, I didn't care much for Keaton's performance much, I don't like that he kills, I wasn't a fan of the costume (just not a fan of the muscle design, I preferred the Returns suit), the production design at times felt a bit small to me (not as much as Returns though but it never felt like a city to me), I don't like how little Gordon is used and I absolutely DESPISE Joker killing the Waynes and it ruins the film for me because it's such a major part. Personally, I'd give it a 5 or 6. Again, great review, I just don't enjoy it too much, personally. Nice review, Harvey. It was a good read. I've got a similar stance on the film to you, it seems. 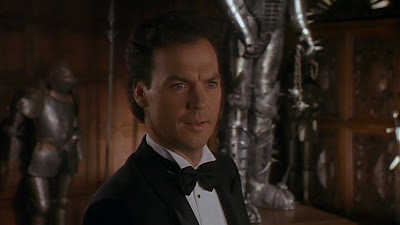 Michael Keaton may just be my favourite live-action Batman. Jack Nicholson was no slouch either. But, man, to me, it's the score which makes the film. I'd probably give it a 7, on a 10 point scale. I`ve seen this Batman movie probably more often than any other , much better than Burtons second one . There just are so many little details and scenes that you can`t really appreciate while watching it the first time . The fact that Joker is the killer of Bruce Waynes parents in this universe doesn`t really bother me . Its a change from the source material , but a good one . @HB it is a really simple story that unnecessarly changes too many things from the source material and there aloooooot of plotholes. Like Max, the Joker being the killer of Batman's parents doesn't bother me much actually. I prefer it being Joe Chill as Chill is nothing more than a desperate thug, symbolising Gotham's criminal population perfectly and making Batman's crusade against crime slightly more meaningful as its not personal. I was never quite able to put my finger quite on why I was never big on this film until recently. Keaton was actually pretty average to me, his Batman seems a little stiff and he pauses too much with a blank face making it look like he's missing a few brain cells in my opinon. But I think what my real problem is that this film doesn't live up to its name, 'Batman'. It should be called 'Joker'. It's pretty telling that Nicholson's name pops up in the opening credits before Keaton's. Joker's past is shown in far more detail than Batman's, something which shouldn't happen. The Joker wrote: If I'm going to have a past, I prefer it to be multiple choice. Yet we are shown just the kind of man Jack Napier is. We are shown his troubles, his fears, his job, his relationships and his origin. Batman, however, has nothing more than a quick flashback which left me very unsatisfied (besides the delightfully haunting music) when Vicky Vale goes poking around. Pretty much share the same views as you Harv. Was the second batman film I ever watched after Batman Returns (yeah I know they are the other way round) and I grew up with them films. I loved them and continue to watch them nowa days. At least Joe Chill was in it, as the guy with Jack in the flashback. And yes, that is indeed Chill. I think Bob Kane even agreed he liked the Joker bit and if he'd made up Joker earlier, he probably would have changed it to him instead of Chill. Something like that. I'm patiently waiting for someone to attempt to disprove this. J.Napier wrote: At least Joe Chill was in it, as the guy with Jack in the flashback. Last edited by Bane on Aug 11th, 2013, 12:16 am, edited 1 time in total.